Conversion rate optimisation (CRO) may be one of the hottest buzzwords in digital marketing, but it’s hardly a passing trend. According to research from Econsultancy only 22% of businesses are satisfied with their online conversion rates. Combine this with the fact that traffic is only getting harder and more expensive to attract and you can see why the need to focus on improving your website’s conversion rate is so important. In this post I’ll introduce CRO and explain why you need to consider CRO as part of your overall digital marketing strategy. I’ll also give you four questions that can serve as a launching point for improving conversion rates on your website. As humans our ability to thrive depends greatly on how we use problem-solving skills to navigate a challenging world. Conversion rate optimisation leverages these same problem-solving skills and uses them to increase the percentage of visitors that convert on your website. 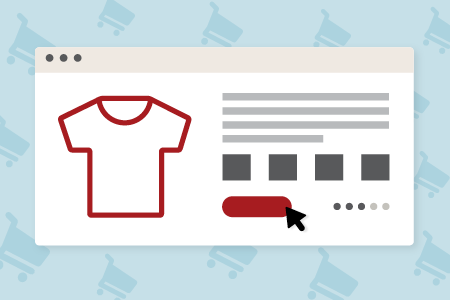 When talking about conversions we’re talking about instances when a user takes a desired action on your website. This could be making a purchase, submitting a contact enquiry, subscribing to your newsletter or something else. Regardless of what you want your users to do, the volume of desired actions is what we’re looking to measure and improve with CRO. STEP 1: Figure out why prospective customers aren’t converting (buying your product, signing up for a mailing list, etc.) 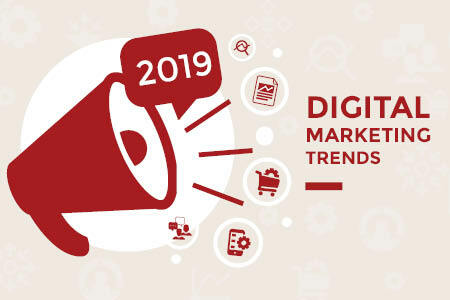 This involves a combination of qualitative and quantitative research and analysis using tools such as Google Analytics, heat-mapping software and user feedback. STEP 2: Creating an hypothesis based on the analysis and research in step 1 and designing/developing an alternative treatment of the problematic areas of the page you’re looking to improve. STEP 3: Testing the performance of the alternative treatment vs the original (i.e. the variation page against the original page) and monitoring the performance using a CRO tool that takes care of the heavy lifting required, such as segmenting traffic and determining statistical relevance of your results. It’s essential to understand that CRO is not about applying tips, tricks and ‘best practices’ to a website in order to achieve conversion gains. Nor is it assuming that the highest paid person in the room has all the answers to the conversion barriers identified in the analysis and research phase. CRO is about your unique business. Your unique audience. Your unique website. It’s about gaining insights into all of these elements through analysis, research and testing your hypothesis with a view to ultimately getting more users to take a desired action. The key to achieving success in Conversion Rate Optimisation is to always be testing. CRO is not a static process. If you want to continue to attract users and convert them into customers, expect to make CRO an ongoing part of your website plan. Testing fosters an evolutionary approach to making website changes that are based on improving performance. As a result, when it comes time to redesign your website or certain key pages you’ll be able to leverage a huge amount of insight about what works for your unique business and specific target audience. This insight is far more valuable than what ‘best practices’ say should work. Of equal importance, you’ll have the insights required to quickly roll back any change that is having a negative impact on conversions. Make more money from your existing visitors. This is the big one. It’s the reason we’re obsessed with CRO. By improving conversions on your website you will make more money. The graphic below shows a hypothetical example of how a successfully implemented CRO programme can dramatically improve revenue from your existing volume of users. Reduce customer acquisition costs. Attracting more customers for the same amount of investment means each new customer costs you less. Maximise your current website investment. You have already spent good money on your website and on marketing to get traffic to your website. As the cost of attracting targeted traffic increases, so too does the importance and value of CRO. CRO is a cost effective way to ensure that your investment pays off. Deliver a better user experience. Removing barriers to conversion, clarifying your value proposition, streamlining forms and shopping carts, simplifying navigation – making improvements in these areas results in a better customer journey and a better browsing experience for your users. Target the right customers. Conversion efficiency is gained when you target the right customers. CRO can help you streamline your content so it speaks directly to the customers who will benefit from your products or services and, in turn, may buy more of your product or share their love of your product with others. Are you ready to roll up your sleeves and begin looking at your website like a conversion optimiser? Below I have outlined four questions that you should ask about your website (or key landing pages on your site). These questions cover some of the most important aspects of CRO. When you make improvements in these areas, you can expect to see positive change in your conversion rates. Is your website loading quickly enough? Research has shown that 40% of people will leave a website that takes longer than 3 seconds to load. If key pages of your site are loading too slowly, I can guarantee that you’re losing prospective customers. Website speed is a crucial component of CRO. If you’re worried about load time, talk to your website developer immediately (or contact us – our expert developers are pros at creating fast websites!). Do landing pages have one key goal? 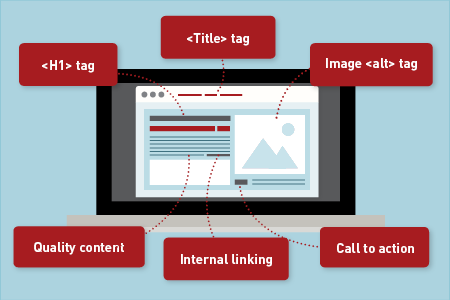 Identify the main action you want a site visitor to take on any given page (e.g. join your mailing list or buy a product). Then make sure that this goal is the primary focus of the page. Once a visitor has arrived, you’ll have less than 10 seconds to make an impression. Do not confuse your visitors with multiple offers or calls to actions. Each page needs to be crystal clear and have one clear value proposition and call to action. Get rid of anything that distracts from your main goal. Do you really understand your target audience? To turn visitors into customers, you need to deeply understand what drives and motivates them. You must understand their needs and know how and why they have come to your website. Connect with your customers emotionally and answer their questions before they are asked. Ensure that there is a consistent message throughout the entire sales process. For example, if they arrive from a PPC ad, they should see messaging that relates directly to that ad. Does your website inspire trust? First impressions matter. If your website is poorly designed, has broken elements, or is crammed with spammy advertisements, you will not inspire trust from your prospective customers. Site visitors need to know that you are a reputable company that is trusted by others. In addition to clean visual design and a professional appearance, other ways to inspire trust include logos of companies that use your products/services, awards you have won, testimonials from happy clients, and easy-to-find contact information. We hope that the questions we outlined above have given you something to think about – maybe you’ll even put some of these ideas into action today! If you’re convinced that CRO is the right step for your business, but don’t know how to move forward, then contact us today. We’re passionate about conversion rate optimisation because we understand the impact it can make on our clients’ businesses. Our specialist team of digital marketers, designers and developers can provide complete support throughout the conversion optimisation lifecycle. 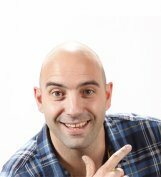 Mark is the Manager of Digital Marketing at Apex and has worked in the digital marketing industry since 2004. Prior to joining Apex he worked in a variety of traditional marketing roles in both the corporate and SME environment in NZ and abroad, but these days much prefers the tangible measurability and transparency of digital marketing. 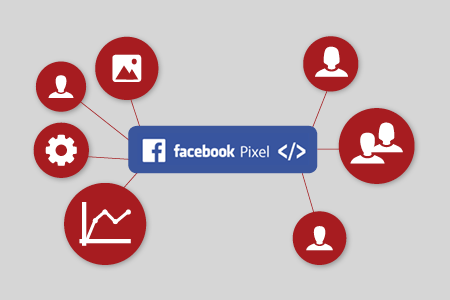 The Facebook Pixel - What Is It and Why Use It? Wait! Have You Considered SEO Before You Migrate Your Website?